I loved traveling in Spain a few years ago and overall, I was very impressed with their bicycle system. It’s too bad that the U.S. can’t keep up! Even in major cities such as Barcelona, they are lights years ahead of us. It’s good to see the passion for the bike increasing, not only for recreation, but also for commuting. Lately, I’ve been spending a lot of time in Charleston and they have one of the highest bike commuting populations for the places I’ve been to in the states. Here is a great article by NPR that reviews Spain’s transition. 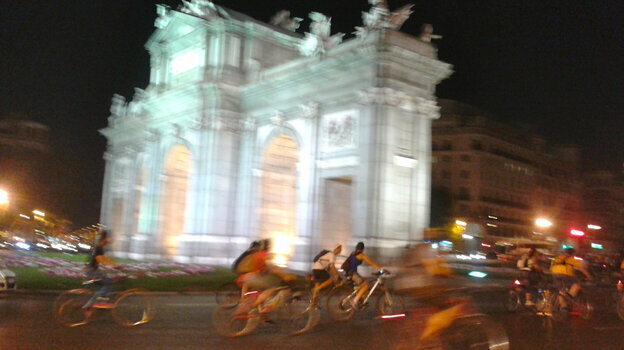 Car-Centric Spain Begins To Embrace The Bicycle : Parallels : NPR.